“Thanks to all the natural resources scientists who share their information with and through stakeholders and policy makers who need this information for informed decision-making! 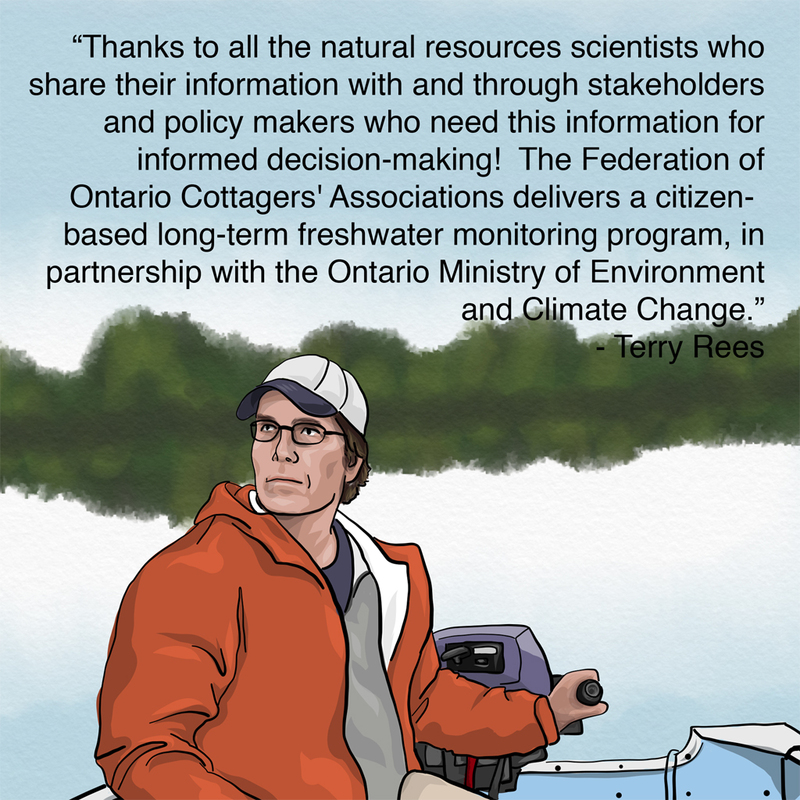 The Federation of Ontario Cottagers’ Associations delivers a citizen-based long-term freshwater monitoring program, in partnership with the Ontario Ministry of Environment and Climate Change. ” – Terry Rees, Executive Director of the Federation of Ontario Cottagers’ Associations. Originally posted on October 9, 2016.